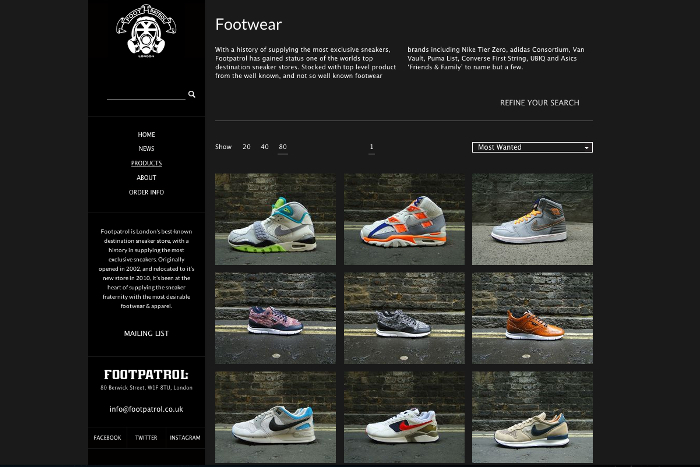 Yesterday, London sneaker store Footpatrol launched a brand new website, and with it the opportunity for customers to purchase product online. Loyal customers have been waiting since the store re-opened on Berwick Street in 2010 for the chance to purchase items online. When we sat down with Footpatrol’s John Brotherhood in September of that year, he mentioned that there were plans for an online store, but that it would certainly be “further down the line”, so it’s been a long time coming. The new online store features footwear, clothing and accessories from the FP shelves, and although not everything is up there just yet, you can expect even more to be added in the coming weeks. 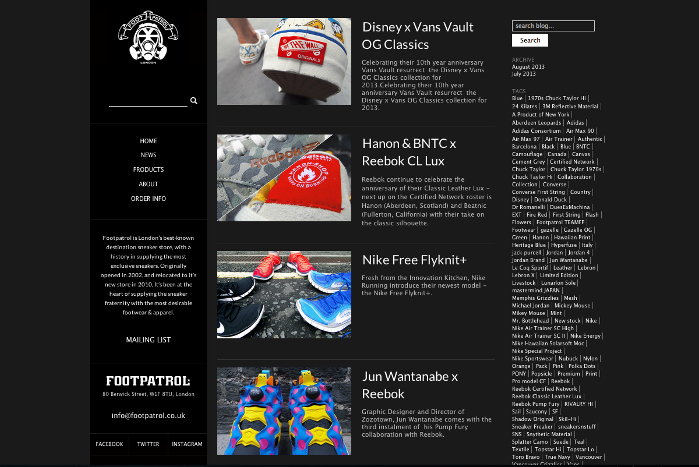 The new website is a fresh and functional update on the previous, and includes a blog full of detailed images of the latest product releases, including the Nike Free Flyknit+ colourways, Disney x Vans Vault collection, and a host of new collaborations from Reebok. 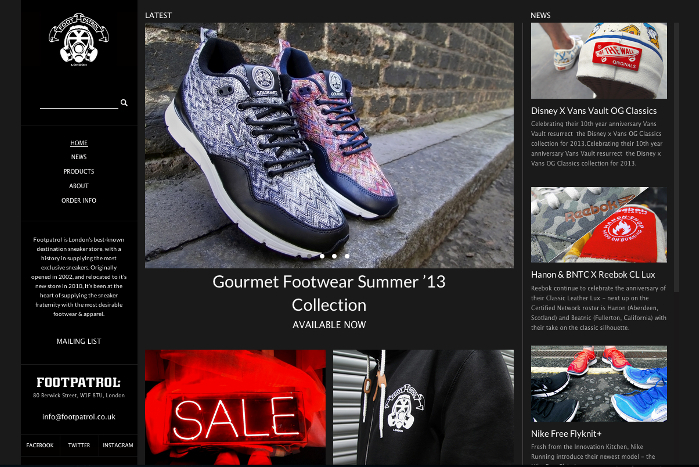 Check it out for yourself, and browse the current stock in-store at Footpatrol.